Manufacturer of a wide range of products which include electrical distribution boxes, power distribution box, electrical distribution boards and mcb distribution boards. We are engaged in offering Electrical Distribution Boxes. We have gained expertise in manufacturing and supplying of a range of Distribution Box SPN that is best suited for surface and flush mounting. These spacious boxes provide easy entry of wires and give complete protection against finger & hand touch, moisture and dust. 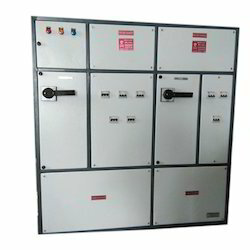 We are Manufacture of Power Distribution Boxes used in various industries for supplying power. Distribution Boxes manufactured by us comply with all the industry norms. We have designed these boxes with years of research and experience. It is weather-independent which means it functions efficiently irrespective of weather conditions such as fog, rain, hail etc. For the safety of users, this box has been properly insulated and made rugged to bear tough working conditions. It is also dust and vermin proof. 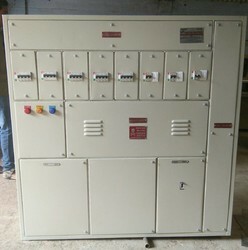 We are manufacturing Electrical Distribution Boards.We are a known entity engaged in offering products that are created with the use of industry standard components and advanced technology. 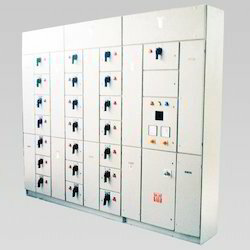 Our Electrical Distribution Boards is one of them. Coated with epoxy powder that ensures long life and availability of customization with one or two doors depending on the customer's application usage is highly in demand with applications in commercial, residential and industry. This can be availed at leading market rates after a thorough check by our learned technicians to ensure compliance.